Yisrael Beytenu MK pushes bill mandating death sentence for terrorists, points out human rights organizations' hypocrisy. 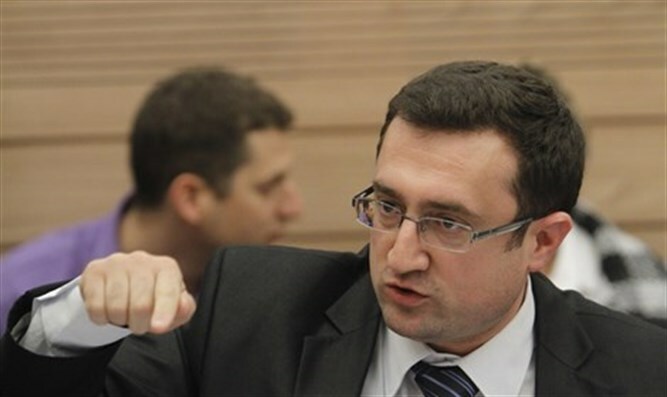 Yisrael Beytenu MK Robert Ilatov demanded that the Knesset advance the bill mandating the death penalty for terrorists. The bill was frozen after passing its first Knesset reading in January. "Contrary to the claims of those who oppose the death penalty for terrorists, we see that in the most enlightened countries, such as the US and Japan, the death penalty is an effective weapon against terror," Ilatov said. "There's no question that Japan is a progressive country, one of the most developed in the world. Just this weekend, Japan executed the terrorists who carried out a sarin attack on Tokyo's subway. "Obviously, the hypocritical human rights organizations did not say a word." Ilatov also said he had spoken to the head of Israel's National Security Council (NSC), demanding a discussion on the law. "We hope the NSC will keep its promise and that the discussion in another month, so that the legislation process can advance," Ilatov said.